‘On Thursday, armed only with stones and their indomitable spirit against longstanding injustice, ignited by Trump’s pronouncement for Israel, its soldiers and police used water cannons, toxic tear gas, rubber-coated steel bullets, stun grenades, and live fire against them across the West Bank. In response to a rocket from Gaza landing harmlessly in an open field, an Israel tank shelled the Strip. 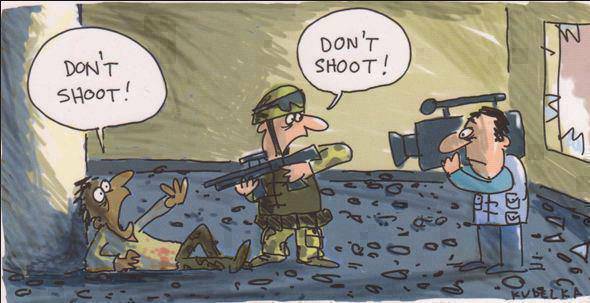 IDF warplanes terror-bombed Hamas targets, its government having nothing to do with the incident. Israeli authorities have approved permits for 31 settler units in the West Bank city of al-Khalil (Hebron) as the Tel Aviv regime continues to defy the international community by building more settlements in the occupied Palestinian territories. Anat Ben Nun of Peace Now, an Israeli NGO which closely monitors settlement construction, said on Monday that an Israeli committee had approved construction permits for 31 units in the flashpoint city. Peace Now added that a planning council meeting on Tuesday and Wednesday is expected to have over 2,000 units on the agenda. Israel has greenlighted plans for over 8,000 new homes in the West Bank, with over a third for “immediate” construction, the defense minister revealed on Sunday, making it the largest expansion of Jewish settlements in the area in 25 years. Palestine is a virtual open-air prison, besieged Gaza worst of all, Trump oblivious and uncaring about deplorable conditions. More on this below. 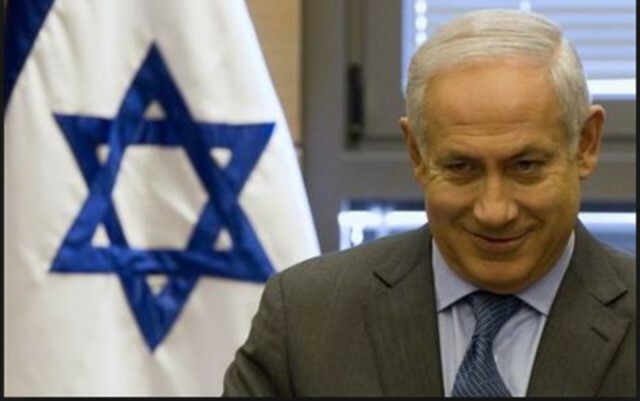 Fact: America and Israel deplore peace and stability, partnering in endless wars, seeking unchallenged dominance, wanting the Middle East map redrawn to their advantage, eliminating Syrian and Iranian sovereign independence, keeping Palestinians subjugated under occupation harshness. Israeli Justice Minister Ayelet Shaked has announced she will push for a controversial plan to extend Israeli civil law to West Bank settlements – a move that critics say would be tantamount to the annexation of territories beyond the Green Line. “Conditions need to be equal. There are basic laws that do not apply in Judea and Samaria [West Bank]. 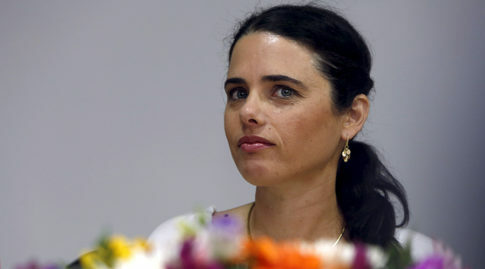 It is my goal to equalize conditions within one year, either by a GOC [General Officer Commanding] decree or through legislation,” Shaked said at a conference in Jerusalem on Sunday, as quoted by Ynet News. The United Nations has called on the European Union to ratchet up the pressure on Israel over the regime’s continued land confiscations and demolitions of structures in the occupied West Bank. “We have entered a new and fairly disturbing phase in terms of the confrontation between international humanitarian law and the Israeli occupation of the West Bank,” UN envoy for Palestinian territories Robert Piper said on Friday. JERUSALEM — A 13-year-old Palestinian girl was fatally shot by an Israeli security guard at the entrance to a West Bank settlement on Saturday after she ran at him with a knife, according to the Israeli police. The girl was identified by the official Palestinian news agency Wafa as Ruqayya Eid Abu Eid, a resident of the Palestinian village of Anata. The village is about a mile from the settlement of Anatot, where the attempted stabbing and killing occurred. Ms. Abu Eid quarreled with her family on Saturday morning and then left her home with a knife “intending to die,” the police said in a statement. She arrived at the settlement at about 8 a.m., the police said, and ran toward the civilian guard at the entrance, who opened fire. A Palestinian eyewitness to the shooting of an 18-year-old female at an Israeli checkpoint in the West Bank said the teen was not attempting to stab soldiers. Fawaz Abu Aisha told the Palestinian Maan news agency that Hadeel al-Hashlamon did not understand Hebrew and did not understand what the Israeli soldiers were telling her on Tuesday as she attempted to leave the main area at a Hebron checkpoint that separates the city’s Palestinian and Jewish sections.